Advocatus Atheist: Are Vegans Self-Righteous? Is Eating Meat Immoral? Some Considerations. Are Vegans Self-Righteous? Is Eating Meat Immoral? Some Considerations. I have a vegan friend online. Although I can understand going vegan as a health choice (an extremely good one at that), I find the moral consideration a bit more problematic. Being atheist without being vegan is a bit like staging a bank robbery and running off all excited because you found a quarter on the sidewalk outside. I understand the ethical consideration behind this. Factory farming and breeding animals for slaughter does seem rather inhumane. I can see why a highly empathetic person would seek to ban such practices. Still, I can't help but notice there are a few problems with making it strictly a moral issue. The first problem is clearly that losing religion and making the choice to stop eating meat (either for ethical or health related concerns) are not equivalent. It's a false dichotomy (a well known informal fallacy). Here's why. Many people do not reason their way out of religion. Religion simply falls by the wayside when there is better information which can invalidate religion--unless one's biases are so welded into place the the support beams of one's faith are unshakable. But that said, people have, on occasion, been able to reason their way out of religion. But even so, the series of events leading up to a proper deconversion are complex. Moreover, there are multiple considerations here. My own deconversion from religion took place over a course of five years. Much of it took a fair bit of consideration, but other events were out of my control. In the end, it was the religious system which failed me. The only choice I had to make was to leave it behind a failed belief system and move on. But where veganism is concerned, this isn't at all the same consideration. Eating meat isn't a failed belief system. It doesn't seek to explain anything in the way religion does. Eating meat is a byproduct of our past biological evolutionary development and history. Choosing to give up meat therefore becomes a rational and ethical choice, as far as I can tell. And part of the ethical consideration isn't at all clear. Let me explain. If you are American and you eat meat you have a one-in-two chance of dying prematurely from coronary heart disease or stroke. Your risk of early death from cancer is many times higher than for vegans too, and the same goes for diabetes, osteoporosis, alzheimer's, and many more. Think about that the next time you put that stolen flesh of the "other" in your mouth because years down the road, when that time comes you can't rewind to this day and do it differently. This shows the two considerations quite nicely. He begins with the statistical chance of being the victim of one's own bad eating habits. Yes, two many Big Macs and rare steaks will lead to a premature heart attack in many people. Statistically speaking it's true. He follows this by throwing out other ailments that a vegan diet can help remedy. 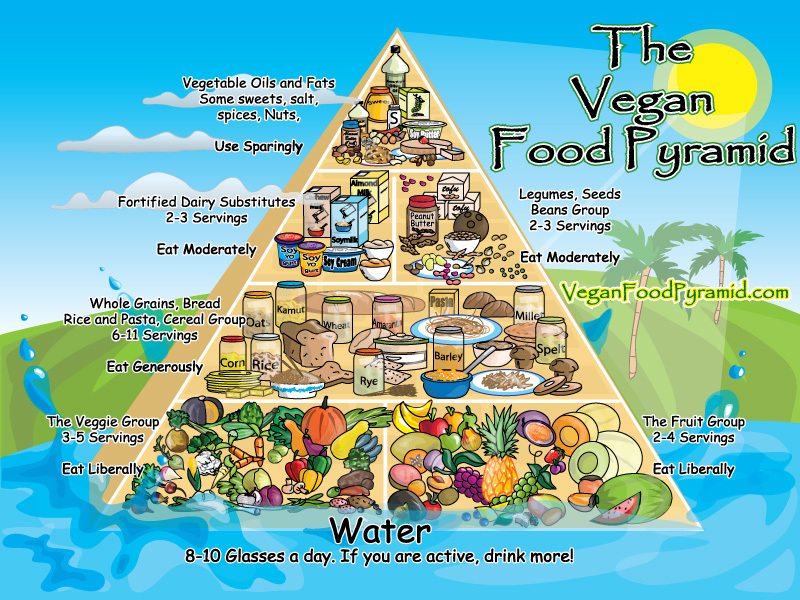 And there is no arguing, as a health choice, veganism is probably the healthiest diet you could go on. But thus far, it is only a consideration of improved diet and health. This is where he shifts gears to the emotional appeal. "Stealing" the flesh of the "other" as he says, is wrong. But wrong according to who? The majority of societies around the world eat meat. So they aren't the one's he is basing this claim off of. He is basing it upon his vegan perspective. But this isn't a position of authority, so he makes the emotional appeal, to make it one of emotional authority. See, if he can make himself morally superior, for not "stealing" the flesh of the "other" then, can't you see, how much nicer and kinder he is than all you meat-eating murderers? But this just comes off as condescending. And perhaps it is meant to. But that's the easiest way to disenfranchise those who might be seriously considering the issue--by talking down to them, holding yourself as superior to them--and invoking ad hominems. Anybody who does that clearly can't be morally superior--regardless of whether they eat meat or not. But I digress. The problem with the second part of the argument, the moral part, is that he has anthropromorphized animals and turned them into humans, by designating them as the "other." A term usually used to describe other humans. More specifically, other thinking minds. And I can see how the term might be applied to other sentient beings, but veganism extends itself just beyond the concern of sentient things but all living things--even things which clearly lack sentience, such as eggs and jellfish. So only by forcing an uncomfortable anthropomorphism does he get the moral argument to extend to all living creatures. What he problematically defines as the "other." How do we know it's an anthropomorphism and not just a bad analogy? Well, people steal. A lion hunting down a gazelle is merely having dinner. The lion hasn't stolen anything. Only people steal, because we've developed the concept of theft, or moral laws, and of social justice--and stealing has been deemed a crime by humans for humans. So to say we are "stealing" something of the "other" who is the animal, is to assume animals have the same rights, legal and otherwise, as humans. And this clearly is an anthropromorphic way of looking at the world. I'm not saying it's wrong. But it's not clear to me that all moral considerations, or legal ones for that matter, would simply carry over to all sentient animals equally. The reason is that even human laws, moral and otherwise, are always changing. They are different among different cultures. In Iran, for example, they will cut off a thief's fingers. In other parts of the world, such a practice is deemed barbaric. If the lion "steals" the meat of the gazelle, should we cut off its paws? This is the problem which arises out of anthropromorphizing animals and holding them on the equal plane as humans. Just a fair warning to any lions visiting Iran, don't steal the flesh of the other! My point is, the moral argument is obviously complicated. But one of the questions he raises is whether or not eating meat, or more specifically killing animals for meat, is bad. Let's think about that for a moment without anthropromophizing anything. If we are to assume that we are like any other animal, then no. Clearly, if a lion eats meat, and a human eats meat, it amounts to the same thing. But most vegans do not say this. They say humans, being sentient, moral, creatures must be held to a higher standard. Well, this may be so. It's an assumption. I am inclined to agree. But the question becomes, who sets the bar? Humanity as a whole? Only the best moral thinkers? Philosophers of ethics? Political scientists? Vegans? It's hard to pin down. What we all want is a better world in which undue suffering can be limited, reduced, perhaps even done away with altogether. Does this include all sentient living things? The vegan holds that it is so. In this regard, eating meat would add to the undue suffering of animals. But don't other sentient animals eat the meat of animals? Yes. So, in reality, it is only a moral consideration for humans, not animals. Another thing to consider, is that there is ample genetic evidence that humans didn't begin as strictly plant eaters, as wrongly assumed by many vegans I know. Vegans are right to say our ancestors were mostly herbivores. But it's the mostly part that proves problematic. Marlene Zuk's excellent book Paleofantasy explores the question of whether or not we evolved to eat strictly meats or plants, or a little bit of both, by looking at the latest cutting edger research in evolutionary biology and genetics. It is well worth a read. One thing that Zuk dispels is the idea that the Paleo diet, the high protein meat diet of our nomadic ancestors, is in anyway healthy for modern humans. It's not. But at the same time, she visits some geneticists in Sweden who have found evidence in our DNA that shows humans have been eating meat ever since we split off from the branch of our primate ancestors. Many vegans will outright deny such claims, even if backed by the latest peer reviewed scientific studies, and they will cite a whole bunch of biased information to counter such claims, mixing their apologetics with emotional appeals and pseudoscience. I find it ironic that many vegans will cite meat eaters as being like religious zealots, not wanting to give up eating meat, when they too make a habit of practicing the same bad apologetics as the religious. Which is why the comparison always bothers me. It's not just meat eaters who are dogmatically holding steadfast to their position, the vegans also act overly dogmatic when it comes to their own position. Either way, I feel too much dogma is a bad thing. Instead of comparing the size of our collective dogmas, we should be talking about the issues. The bottom line is, we haven't fully evolved to eat only plants. In fact, the best evidence for this is the fact that we have the ability to taste lipids. This has lead to the realization that we have evolved to taste the fat in meats. Something which would not have occurred if we had evolved to eat only plant based foods. Further evidence that humans have a long history of eating meat lies within the genetic markers within our DNA, in what is called meat-adaptive genes. Although it is true many of our ancestors were mainly herbivores, this isn't true of modern humans. Our genes have adapted to be able to consume meat. There is also strong fossil records to suggest human hominids have long relied on meat and bones to sustain themselves and ensure survival (also see here). People who invest their time and energy making the moral argument from veganism would see eating meat as an evil. Not as mere biological creatures doing what comes naturally. The vegan argues eating meat isn't natural. Well, they're wrong. But their heart is in the right place. Wanting to protect and save sentient animals from undue suffering is a noble cause. But it is also problematic. One reason it is problematic is because humans are the only sentient creatures (we know of) who exhibit the ability to think in ethical terms. In other words, we're the only one's with a moral sense, if you will. Well, it's a problem because vegans are saying that animals are born with the same natural rights as humans. Including the right not to be tortured, suffer unfairly, or be murdered. But these are strictly man-made moral considerations. So the problem can be broken down further still. 1. Do animals have innate rights the same as people do, and how would we test this claim since the only rights we do know of are the one's we have created for ourselves? 3. The problem of evil seems to apply to the naturalistic worldview too. If humans managed to put and end to causing undue suffering to their fellow sentient creatures, this doesn't mean the creatures would necessarily stop suffering, as they would still have to contend with Mother nature and other carnivorous predators. So if animals are killed by other animals as when we kill them for food, then how does this become anything other than a human moral consideration since clearly, other animals aren't concerned with it? Is it enough to be merely a human based moral endeavor? These are not questions any animal apart from a human being could ask. So you see, the moral argument is quite tricky. Especially when it comes to the breeding and slaughter of animals for food. For example, vegans say that even eating fish is bad, due to the over-fishing and poaching going on which negatively impacts the ecosystem on a global scale. But is eating all seafood bad? What about oyster farms, and shrimp hatcheries, in which hundreds of thousands of these non-sentient animals are grown for food consumption? The animals do not suffer, and it does not have any impact on the over-fishing problem. In fact, it probably helps reduce it. So is eating a fried oyster immoral too? Having another shrimp cocktail, is it bad? I don't see how the moral argument could even apply in such a case. Now, I'm not trying to argue for either side of the debate. Whether or not you eat meat or strictly salad isn't my concern here. What I am concerned with is how we make light of the moral consideration knowing that it's not as simple has having empathy towards animals? Perhaps, one might be inclined to argue that it is that simple. But then on what evidence can they make this claim? One key difference worth pointing out is this. Trying to liberate people's minds from the shackles of religion, because in many cases religions actively seek to cause harm is an ethical form of activism which makes sense given the fact that the playing field is a moral landscape where the terms and conditions of the moral-game (you might say) are all man-made, where the main players are people, and the considerations involve only people and how their beliefs impact other people. Eating meat isn't a belief. It's a biological remnant from our past evolutionary history. It may even turn out to be a recent development in our evolutionary history, and perhaps one which is already on the way out. But even so, how does the moral landscape change when we involve non-human entities? This is a question which needs to be addressed, because if we say all sentient animals deserve basic "human" rights, then what do we mean by sentient? Animals that can merely feel pain? That have complex nervous systems? Or animals that are aware they are suffering? It would be a question that puts to task whether or not we could find definitive answers to these questions, and as far as I can tell, no definite answers have yet been found. This doesn't mean my vegan friend is misguided. He can still be wrong about basic facts about biology but, perhaps, have an insight into a moral consideration we should take seriously and continue to explore. The problem I have, is I don't like vegan's saying people are WRONG for choosing to eat meat when it's clearly not a choice. This comes off as awfully self-righteous and places a wedge between the two positions--merely because the vegan wants to use the emotional appeal as a form of moral blackmail. An empathetic person, in good conscience, would see that eating meat is clearly cruel! Well, as I have pointed out, it's not that clear cut. What vegans should be saying--if they truly care to get a dialog going where these questions are investigated with serious consideration--is that there are better alternatives to eating meat, and here's the information I have for you. Throwing in a wedge will only prevent others from seeing it the vegan way, and then it doesn't make sense to berate them for turning away. Additionally, as the conversation progresses, vegans may want to develop their moral argument more thoroughly--at least so it makes enough sense to talk about. What does it mean to say a baby lamb has human rights? It's confusing, and this confusion needs to be cleared up, so the real moral questions can be addressed. As it is, it's simply not even an argument yet. It's more of an appeal. A real argument would have valid, defensible, claims. Saying all sentient animals should not have to suffer undeservedly doesn't make sense when you haven't yet defined what it meant by sentient animals nor can you explain how they are innately imbued with what seems to be only a human preoccupation. At any rate, it's clearly an area of ethics which I think we need to think about more substantially.